The following article which attempts to educate the public about 'MLM' rackets, was posted on the Consumer Watchdog Site in Botswana July 22nd 2016. It should be standard reading for senior US regulators and law enforcement agents, because it begins to reveal what their chronic failure has produced internationally. Botswana is a southern African country with a population of approximately 2 millions. The average per capita income of Botswana, is just over $7000. The currency is the Botswana pula. They might talk about supplementing your income, adding a little extra money on the side or even that it’s a full-time, wage-earning job but it’s simply not true. Their own figures prove this. For instance, the latest data for Amway that I’ve seen was from Amway’s UK business for 2013 and it makes rather poor reading. It shows that in September 2013 they had 30,415 Retail Consultants, 13,141 Certified Retail Consultants and 81 Business Consultants in the UK. The average income figures for these groups were, I’m afraid, rather pathetic. Retail Consultants had an average income of a mere £42 per month which is about P7,000 per year. Certified Retail Consultants averaged only about P18,000 per year and the very rare (fewer than one-fifth of one percent) Business Consultants brought in about P300,000. None of these people came even close to the UK’s average national income, not even the top earners. Most importantly, these figures are income, not profits. They don’t take account of the costs involved in running their little business, recruiting people beneath them, electricity and their phone and internet costs. It’s the same with Herbalife. The figures for their U.S business in 2015 are just as miserable but they show how a MLM scheme really works. 80% of the members, over 400,000, are just people who buy their products and don’t have a “downline”. These are the people on the bottom rung of the pyramid. They buy stuff from Herbalife, but there’s no evidence they sell it to other people. The most interesting group is those people who earned commission from their downline sales. These are the “Sales Leaders With a Downline” and in 2015 there were 68,768 of them in the USA. These are the people that Herbalife offer as examples of the riches you can earn from joining Herbalife. But there are no riches. In fact, the 10% at the top of the pyramid take nearly 90% of all the money. At the other end of the scale, the bottom 90% earn just over 10% of the money. The group earning between $1 and $1,000 in 2015 (that’s 62.5% of the entire group) actually earned an average of just $303. And again that’s their income, not their profit. That’s before they paid their expenses, all the bills necessary to recruit all the people below them. So yet again it’s the same old story. If you want to make money from either Amway or Herbalife you need to be at the top of the pyramid and all the money you’ll earn will come directly from the people beneath you in the pyramid. That’s right,Herbalife will be paying $200 million to the distributors who fell for the sales hype that seduced them. The investigation found a number of things wrong with the Herbalife business model. The report observed that the “overwhelming majority of Herbalife Distributors who pursue the business opportunity make little or no money, and a substantial percentage lose money” and that Herbalife “does not offer participants a viable retail-based business opportunity. The report also gives examples of how absurd the Herbalife model can be. It reports that “during the years 2009–14, one top Distributor paid over $8 million for product (with a total Suggested Retail Price of over $16 million) which the Distributor purchased in the names of various downline members, thereby generating additional rewards and qualifying for higher payments from Defendants. The difference between a Multi-Level Marketing scheme and a pyramid scheme is usually explained by the absence of products in a pyramid scheme. The FTC report shows that even with Herbalife the products can be irrelevant. If you can give the products away to charity and still make a profit then you have to ask which of the two Herbalife really is. This ruling from the FTC is yet further proof that Herbalife, like many other Multi-Level Marketing schemes, are a very good way for some people to make a vast amount of money. The few at the top do very nicely but only at the expense of the many lower down the pyramid. 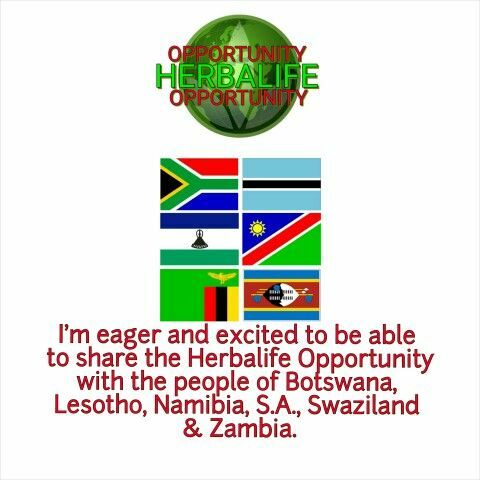 Unfortunately, this ruling only relates to Herbalife’s operations in the USA but I bet we’ll still see the effects here in Botswana. They’re going to have to find that $200 million somewhere and I suspect it’ll be the victims elsewhere in the world who’ll be pressurised to raise it. Expect to see Herbalife pushing its bogus business in your direction soon. Hopefully you have a door that you can show them?